“African Diaspora Youth Forum in Europe” project established by a group of youth workers and experts in Europe, aims to share experiences and best practices to empower youth by building their capacity, leadership skills, responsibilities and providing access to information in policy making and project initiatives, so they can truly and actively participate in their societies. The Forum is the first of its kind held in Europe and presents a significant opportunity for African leaders and youth to network and work closely together in order to coordinate international dialogue amongst important stakeholders for African development. Specifically, through panel discussions, lectures and training sessions, tackle topics such as: access to quality jobs, entrepreneurship, economic development, Afro-Euro cooperation etc. This year second Forum edition gathered, from 8-11 June in the United Nations Headquarters Vienna, experts, leaders, business-owners, change makers and more than 200 of young people from all around Europe and the global – toward development of African continent, as well as better position of African youth in the Diaspora. 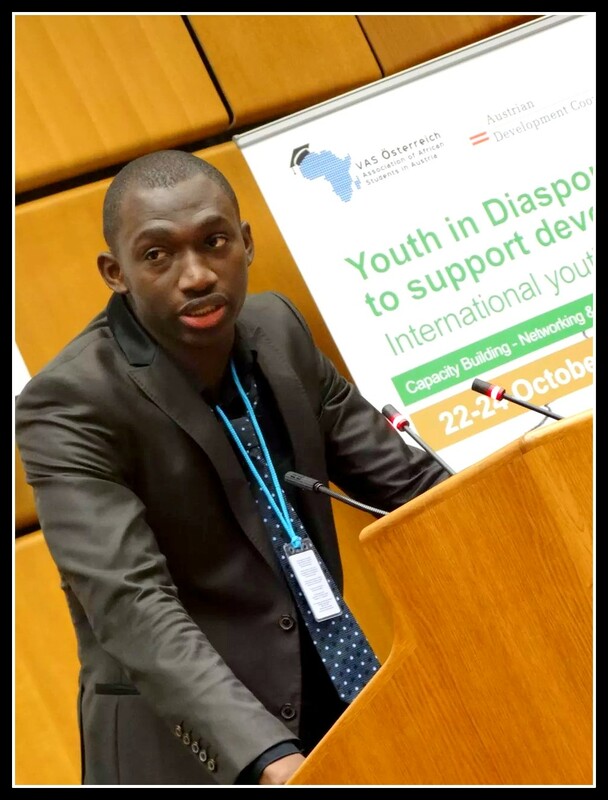 “YouthVoice” caught up with Mr. Youssouf Simbo Diakité -the President and COE of ADYFE- for a brief chat, ahead of the youthful gathering in Vienna and ADYFE project. 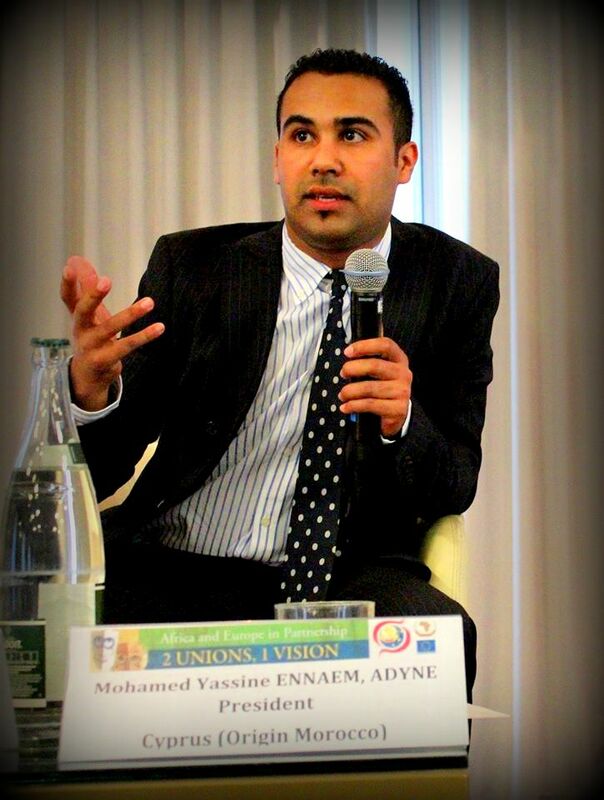 Ms. Sana: First Mr. Youssouf, we congratulate the ADYFE Committee Members on the successful event in Vienna. ADYFE had a large coverage in Europe and Africa, can you tell us briefly about the key ingredients success of ADYFE? The team hard work is the fruit of ADYFE feat; we are a group of ambitious skilled young people from Europe and Africa, we work for one shared objective which is the future development. This year we had a very limited time to organize the event, but we manage to make this year forum a very successful one. The combination of these three elements make ADYFE what it is today. Ms. Sana: The target group of the event was “Youth Diaspora”, what does that mean to you? Why this focus on “Youth Diaspora”? Mr. Youssouf: We are Youth Diaspora, we live in Europe but we are from Africa, we face the same challenges, and we have the same vision for the development of Africa, the focus on youth Diaspora is related to the missing gap in Africa, Youth Diaspora is the bridge connection that Africa needs and one of the answer for the African development. I believe in the Youth Diaspora contribution to the African progress in terms of remittances, direct investments and entrepreneurship, knowledge, and their diverse experiences. ADYFE believes the Diaspora has the potential to make the change that we contributing in. Ms. Sana: Can you tell us more about the idea behind creating ADYFE? Mr. Youssouf: The idea behind ADYFE is to create a platform where youth and experts meet and discuss the challenges of diaspora, provide them with appropriate information and also facilitate their return back home with projects in their hands. ADYFE creation was to fill in the missing gap and be the intermediate space to empower Youth Diaspora and accelerate youth programs and their capacity buildings. The vision is to institutionalize ADYFE to make it part of the decision, to be the main network in the African development and the focal point of human and financial resources, to be the place where we can influence the decision makers and take youth recommendations into consideration. We aim to make ADYFE the network where youth, expert, governments, promote entrepreneurship, African development, cooperation and intercultural dialogue. Ms. Sana: Could you describe the impacts you want to achieve through ADYFE? Mr. Youssouf: ADYFE project is part of 70000 organizations working for same objective, the impact we want to achieve is to link these organizations and work together for one same Diaspora project back home; then we will reach the Diaspora Africa Dream. If we link human power, resources, and the potential of these organizations, its impact will be huge contribution on the acceleration of the African development. Ms. Sana: We’ve heard that ADYFE is an annual event, what are your next steps and programs for next year? Mr. Youssouf: For the moment we want to organize a follow up program of the two editions we had, an occasion where we will study the impacts of our two editions on youth needs. Next year event will be organized depending on the needs of the participants; we measure their needs, their appreciation, through personal evaluation where they express their ideas and recommendations. We promise for a creative and innovative edition next year! Ms. Sana: This year ADYFE edition was rich in terms of program sessions, workshops, panel discussions, many high-level personalities took part of the event, and we’ve heard also that many known business leaders came like Wati-b, how do you maintain this richness? Mr. Youssouf: we make our partners, speakers and guests are part of the dialogue; we make them believe in our idea. Each year is a new challenge; we need to come up with new innovative concept, strategic planning, and creative program sessions to maintain our partnerships. This requires a lot of work and patience. We maintain this richness by our continuous hard work, we believe in our cause and we make them believe as well. Ms. Sana: Very interesting! What is your vision for Africa? Mr. Youssouf: My vision for Africa is to be peaceful continent, where everyone is empowered, equal and educated. This would have a great impact on the development of Africa; the only place where my heart beats. Ms. Sana: Very powerful statement! Thank you so much for your devoted time, “YouthVoice” wishes you all the best for your next events. Mr Youssouf: Thank you for having me!